A variety of colors make up the coastline of Prince Edward Island near the Orby Head Lookoff where a Cormorant Colony resides. 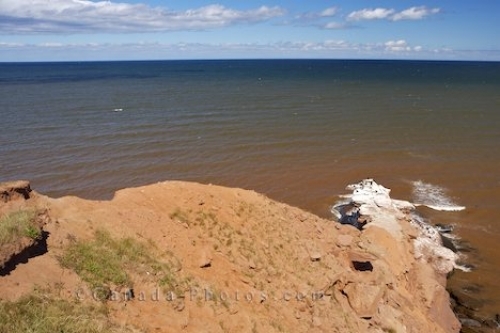 A brown color shades the water along the Gulf Shore West Parkway from the Orby Head Lookoff in Queens, Prince Edward Island until the water gets deeper and changes its hue to blue. On this stretch of land that juts out along the coastline, you will find the residence of a Cormorant colony. Coast and Cormorant colony seen from Orby Head Lookoff, Gulf Shore West Parkway, Blue Heron Coastal Drive, Queens, Anne's Land, Prince Edward Island, Canada. Picture of the coastline along the Blue Heron Coastal Drive on Prince Edward Island where a Cormorant Colony can be seen.